Ships today if you order in the next 12 hours 34 minutes. *Enhances serotonin synthesis for emotional well-being and restful sleep. 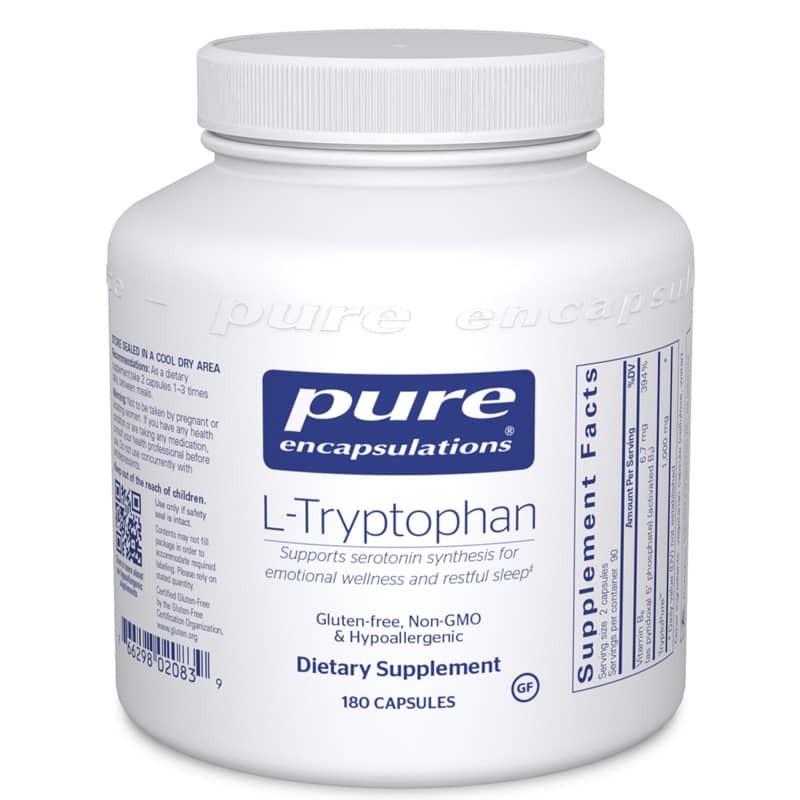 l-Tryptophan promotes serotonin synthesis to support emotional health and restful sleep. Contains NO:Contains NO: artificial additives, allergens, GMOs, environmental contaminants or added excipients. Adults: As a dietary supplement, take 2 to 6 capsules daily, in divided doses, between meals. Not to be taken by pregnant or lactating women. Consult a health professional before taking this or any other product. Do not take concurrently with SSRI medications or MAO inhibitors. Keep out of the reach of children. This brand, Pure Encapsulations, is very high quality. Natural Healthy Concepts took my order online and it was at my house within a few days. I've ordered a couple of times and had the same experience.